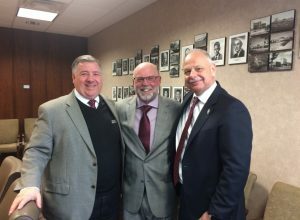 CARBONDALE, Ill. – Legendary coach Jerry Kill, who led the Salukis to five consecutive NCAA playoff appearances, will return to Southern Illinois University Carbondale as an ambassador for the university. He will also assist with fundraising for the athletics program. Chancellor Carlo Montemagno said that Kill’s appointment as special assistant to the chancellor will begin in mid-March. Kill was head football coach at SIU from 2001 to 2007, leading the Salukis to five straight appearances in the Football Championship Subdivision and winning three straight Gateway Football Conference Championships. While at SIU he also received the prestigious Eddie Robinson National Coach of the Year Award in 2004 and the Liberty Mutual Coach of the Year Award in 2007. He left SIU to serve as head coach at Northern Illinois University from 2008 to 2010, delivering three bowl eligible teams. Kill went on to become head coach at the University of Minnesota from 2011 to 2015. While there, he was named 2014 Big Ten Coach of the Year, sent three teams to bowl games and produced six NFL draft picks. He served as associate athletic director at Kansas State University in 2016 and offensive coordinator at Rutgers University in 2017, retiring from coaching in December due to health issues. SIU Athletics Director Tommy Bell said he looks forward to Kill’s return. 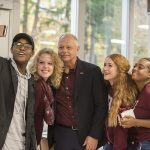 CARBONDALE, Ill. — A three-year, $75 million fundraising campaign to support students at Southern Illinois University Carbondale raised more than $56 million in its first year. 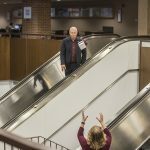 “Forever SIU: The Campaign for Students” launched Jan. 1, 2017. 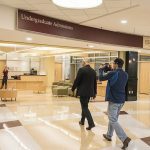 As of Dec. 31, approximately 5,000 donors contributed $56,317,674, or 75 percent of the $75 million goal, according to Jim Salmo, chief executive officer of the SIU Foundation. The campaign’s progress is a sign of confidence in the university, said SIU Chancellor Carlo Montemagno. More than half of the total raised is for student scholarships and fellowships, with the balance supporting academic programs, facilities and technology. 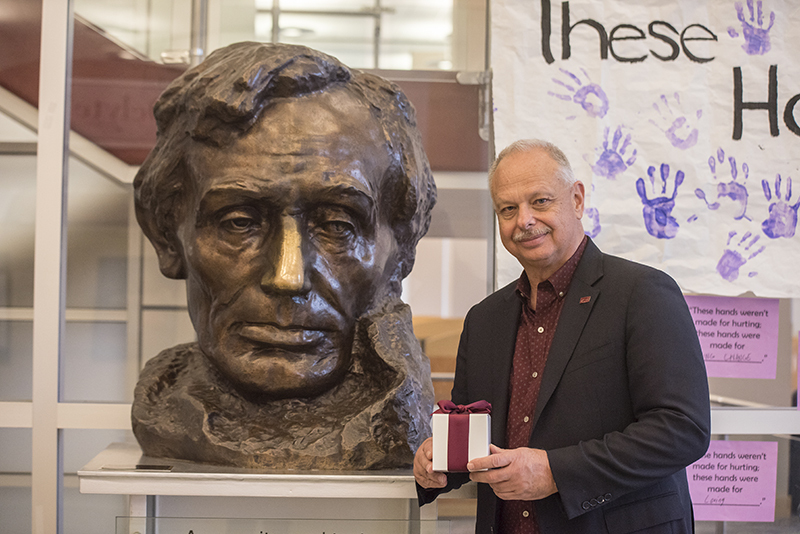 “Every gift, large and small, benefits our students,” Montemagno said. Salmo said many donors work with foundation staff members to identify options for making gifts. 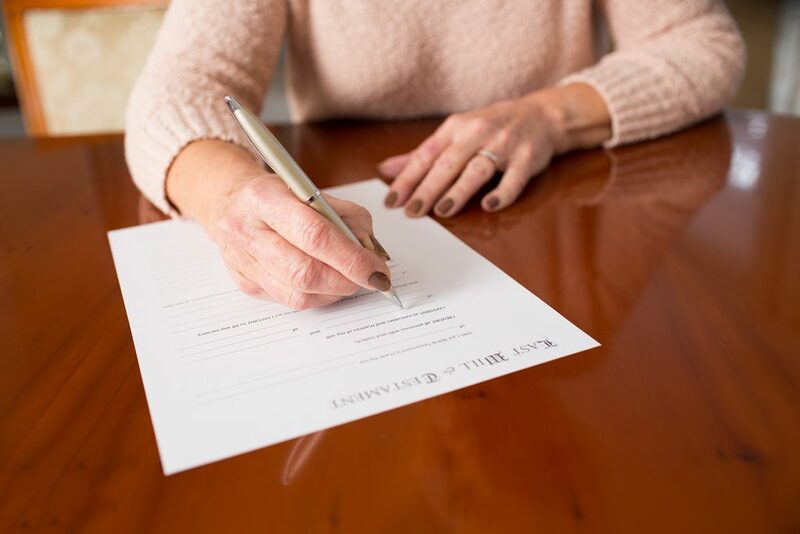 Some make outright donations, some pledge gifts to be made over several years, and some defer commitments to be made through an estate or other means. To learn more about the campaign, visit foreversiu.org. Brooklyn Bowers is a senior from McLeansboro, Illinois, studying biological sciences and pre-medicine. SIU was close to my hometown and I received the Dean Scholarship when I applied. I am very family oriented and wanted to stay as close to home as possible for the time being. In grade school, I was always attracted to science. In high school, I got the chance to job shadow an ER doctor and I was hooked ever since. I am currently involved in cheerleading and gymnastics at Ultimate Gymnastics. I am also trying to collect food, water and clothing with a group for the people effected by hurricane Harvey and hurricane Irma. I was shocked when I got the e-mail. I was certain that they had me mixed up with another individual! The Bertrand scholarship lifted a financial burden off my shoulders. I work approximately 45 hours per week to make ends meet and go to school full time. Receiving this scholarship will allow me to work less and focus on my education. How has the donor’s generosity impacted your view on your education and goals for the future? Their generosity makes me believe that my goals for the future are actually reachable. The Bertrand scholarship will potentially save lives one day. I have full intentions of becoming an emergency room physician and am currently applying to medical school, which is also very expensive. When I first started at SIU three years ago, I was not sure if I would ever be able to make my dreams of becoming a doctor happen because I had no financial support. Scholarships truly make a difference and you could be supporting the person who finds a cure for cancer or becomes the next president. This provides opportunities for people who may not receive a degree due to financial burden. Life happens and while you’re in college it’s nice to know that you have support in achieving your dreams. If it wasn’t for my supportive family and receiving scholarships there is no way that I could have pursued this career path. If a student is willing to put the effort into earning an honest degree they should get the opportunity. In the future, I plan to establish my own scholarship fund to support SIU students. left) and Trish Welch (bottom right). Kim Fornero knows the importance of experience. The 1990 alumnus earned his bachelor’s degree from the College of Agricultural Sciences and went into the hotel and tourism industry, specializing in food service. He recently made a sizeable estate gift to benefit the College of Ag and Saluki Athletics. After working all over the country, Fornero settled in at Monmouth College in upstate Illinois. He has worked there for 19 years and is the executive chef for the university’s food service. While on campus, Fornero met Trish Welch, an advisor and instructor. “She really helped the students form their direction,” he said. “She took the students under her wing and really mentored them. She wanted them to do the best that they could. After Fornero graduated, Trish Welch asked him to join the Curriculum Advisory Committee for the College of Agricultural Sciences. Fornero became a founding member of the committee, which disbanded a few years ago. 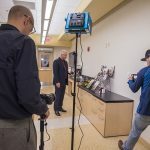 “Our goal was to formulate a direction for students to go so they get that real-life experience,” he said. The need for experience is one of the factors that Fornero noted when setting up his gift. 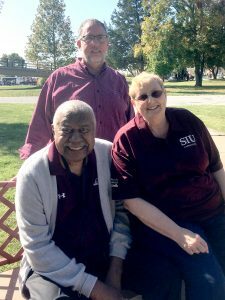 His decision to become a benefactor for SIU Athletics was based on his school spirit. Fornero wants his gift to inspire others to do the same. Get ready to give the gift of experience on Wednesday, March 7, 2018. Bookmark this link to make your gift: siuday.siu.edu. 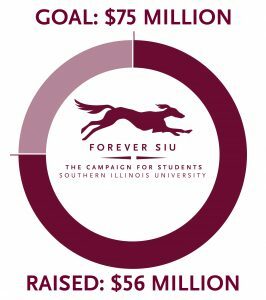 The Forever SIU fundraising campaign is in full swing. 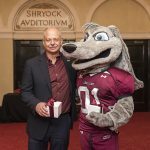 The SIU Foundation is more than half way to reaching its goal of raising $75 million by December 2019. In fact, more than $51 million (or 68 percent) has already come in. The campaign’s success is due to its benefactors and volunteers. Don and Shirley Beggs check both those boxes and are working on behalf of the College of Education and Human Services. Don Beggs was the dean of the College of Education and Human Services, a post he held until becoming chancellor in 1996. After his tenure in Carbondale, he retired from SIU and became the 12th president of Wichita State University in January 1999. He retired from WSU in 2012. 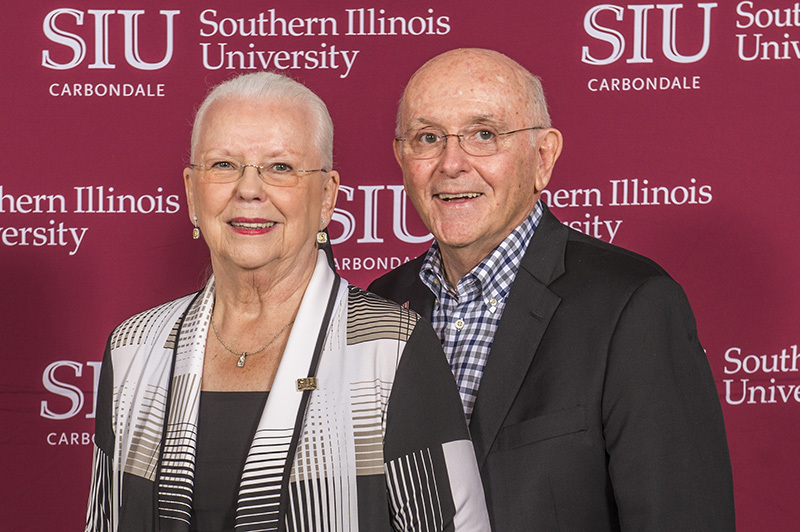 Having careers at SIU that span more than 30 years, the Beggs have formed relationships with thousands of alumni. 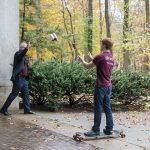 With Dean Keefer’s assistance, the Beggs are reaching out to those alumni for their support in furthering the Forever SIU campaign. For more information about the campaign, visit www.foreversiu.org. Jacob Trammel is a senior from Elkville, Illinois, studying physiology. I chose physiology on a pre-med track as my major so that I could develop a more advanced understanding of the physical and biochemical principals that govern the way our bodies work before attending medical school. I am a brother of the Kappa Alpha Order (social fraternity), a member of the Timmy Global Health chapter on campus, a volunteer research assistant in Dr. Hylin’s traumatic brain injury rehabilitation lab, and a member of the Student Leadership Honor Society on campus. I enjoy outdoor activities, painting, playing the guitar, singing, leisure reading, and watching the St. Louis Blues. When I first saw that I had been awarded the Bertrand scholarship, I was in disbelief. It is what I would imagine winning the Lottery feels like. The Bertrand scholarship is the largest non-institutional scholarship I have every received. I was both thankful to them for their generosity and proud of myself for performing well enough to stand out among other applicants. Financial support on this scale is always a major relief. One of the biggest problems many college students face today is coping with the high cost of attending a university and the limited amount of financial aid available. This scholarship reduced the amount of debt I will have to take on to finish school, gave me financial stability, and gave me peace of mind. Without the Bertrand scholarship, I would not have been able to budget for taking a summer class and applying to medical school this year. Seeing the generosity of donors like the Bertrands motivates me to get out there and give my all to my loved ones and my career so that I can have the same kind of positive impact on someone’s life that they have had on mine. I want be able to pass on that feeling of stability that was given to me and empower some young man or woman to chase their dreams. The whole reason I decided to start down the path of being a doctor is because I see medicine as a way to fully utilize my intelligence to make a large-scale, positive impact on my community and the world in which I live. However, in order to become a doctor I need to have the financial resources to obtain the necessary education. By providing me with much needed financial help, the Bertrands are paving the path to medical school for me and helping me to maintain momentum towards my goal of becoming a physician. Absaluki! As a young man from a poor family in rural Southern Illinois, I know that there are few resources to help local children down the path to a fulfilling and stabilizing career. I would like to someday establish a scholarship for disadvantaged students from the southern counties of Illinois. I would also like to be a mentor to the recipient(s) if possible. I sincerely thank you for your kindness, I hope my “thank you” letter finds you well, and I hope to see you at the SIU scholarship lunch this semester so that I can get to know more about you! 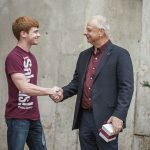 Are you interested in giving to SIU but unsure about how to get started? No problem. The SIU Foundation is proud to offer a number of ways to make donations of all sizes. 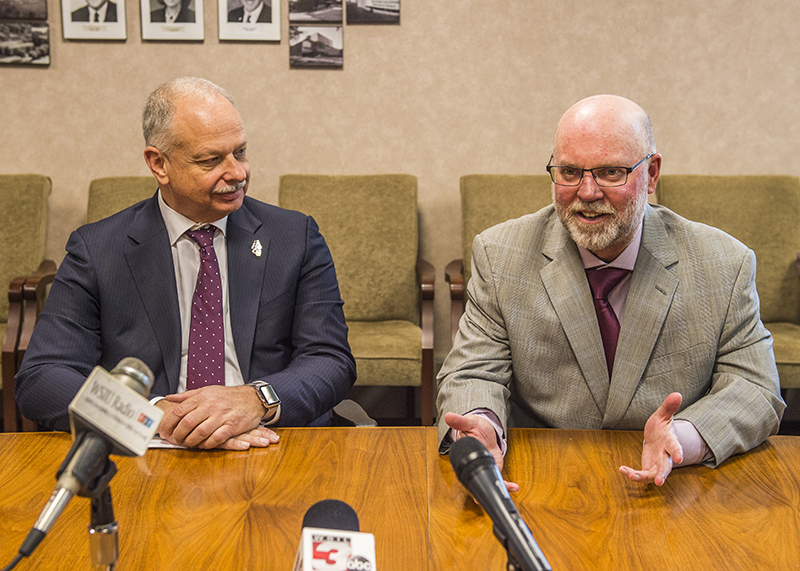 For the university to continue to fulfill its mission of excellence in teaching, research and service, it relies on private support from individuals and organizations sharing its commitment to students. The quickest way to make a gift is to use a check, a credit card or an electronic fund transfer. Checks can be made payable to the SIU Foundation and submitted with a gift pledge form. Gifts made by credit card require the same form. You can also transfer funds to the foundation regularly by setting up an electronic fund transfer from a bank account. The foundation provides a form for that process, too. Did you know that some companies match their employees’ contributions? It’s true. Many corporations will match the contribution of their employees, officers and directors – and, in some instances, spouses and retirees. Ask your company’s personnel or community relations department if your company has a matching gift program. Interested donors can also visit www.siuf.org/matching and search for their employers on the “Matching Gifts” page. Stocks, mutual funds, bonds and other publicly traded securities may be transferred as gifts through the foundation. There are various ways of transferring these gifts, such as a transfer of securities from the donor’s brokerage account or a delivery of the certificate to the foundation. Gifts of long-term appreciated securities may offer substantial tax savings. These gifts may be deducted at the fair market value without the recognition of capital gains. Gifts of real or personal property, also known as gifts-in-kind, can enhance the mission of the university. Gifts-in-kind may include a personal residence, farm equipment, artwork, rare books and other property that has a determinable value. The Internal Revenue Service has established rules for valuing these gifts, and the foundation reviews them prior to acceptance. Gifts also can be made in honor of memories of loved ones. By sending a name and address, the foundation will send an acknowledgement of the gift to the family. We will not mention the dollar amount of the gift unless you ask that we do so. Each year, annual gifts contributed by alumni and friends of the university help provide scholarships to students, in addition to funding for research efforts, equipment and other needs. The annual giving campaign is an excellent opportunity for alumni to maintain close contact with their colleges or departments. 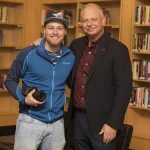 Your annual support plays an essential role in ensuring SIU students and faculty have the best resources available to pursue their academic endeavors. Any kind of private support is crucial and will have a positive impact on the university. An endowment is a great way to ensure your gift has a noticeable, lasting effect on those it benefits. Contributions can be made in the form of cash, securities, life insurance or real estate. An endowment also can be established through a will or charitable trust. Each donor has the option of endowing a chair, professorship, visiting lecturer, faculty fellowship, graduate fellowship, scholarship or facility. The minimum amount necessary to create an endowment is $25,000 (payable over a period of up to five years). An IRA charitable rollover is an effective way to help SIU advance its mission. Avoid taxes on transfers of up to $100,000 from an IRA to the foundation. Satisfy the required minimum distribution for the year. Reduce taxable income, even without itemizing deductions. Make a gift that is not subject to the 50 percent deduction limits on charitable gifts. Contact your IRA plan administrator, and the funds can be directly transferred to the foundation. Gifts from corporations and foundations can play a significant role when it comes to serving students. Whether you are part of a large global company or a local business, a partnership with SIU can be mutually beneficial. 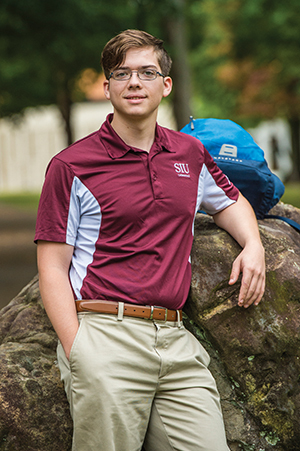 Becoming involved with the university in this fashion can assist in the recruitment of SIU’s top students, and in internships, research opportunities and exposure during campus events. 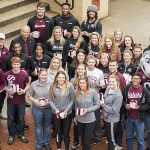 Join the entire Southern Illinois University community on Wednesday, March 7, 2018, as it comes together for its annual SIU Day of Giving, a university-wide effort to build a better, stronger SIU. For 24 hours, students, alumni, faculty, staff and community join together to give students the experience of a lifetime when they make a gift on SIU Day. 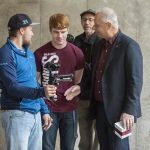 SIU supporters are invited to volunteer to be online ambassadors to help make an even bigger impact. Share your excitement with your friends and family on Facebook, Twitter and Instagram. If you would like additional information on how you can help, please contact Rebecca Renshaw, associate director of development communications at 618-453-1328. For more details about #siuday, visit www.siuday.siu.edu. SIU’s University Farms greenhouse had a problem two summers ago: too many plants and not enough space. 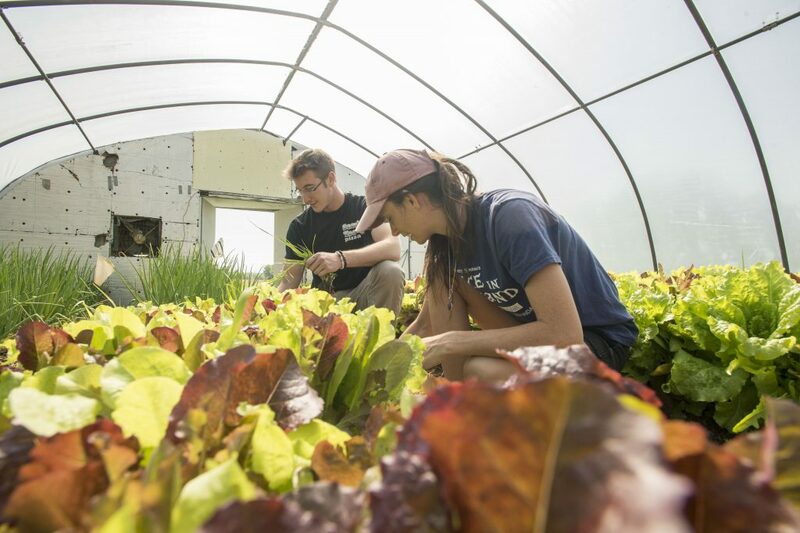 Over the years, a separate teaching greenhouse had fallen into so much disrepair that the department had to consolidate activities in the University Farms greenhouse. The cramped conditions put a crimp in teaching and research efforts, and no funds were available to fix the problem. Karen Jones, chair of SIU’s Department of Plant, Soil, and Agricultural Systems, determined that if the department could grow plants by vertically laying them above the ground, it could ease space issues. To do this, she realized the plants would require light-emitting diodes, commonly referred to as LED lights. The next problem Jones faced was how to pay for the lights. 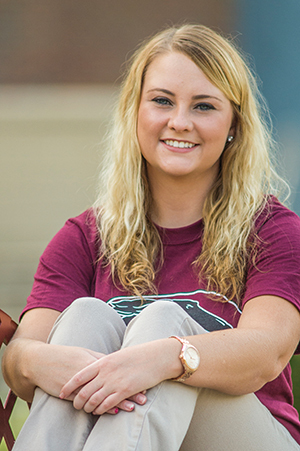 Determined to find a solution, she turned to SIU’s network of alumni and students for help. Jones and her team launched a fundraising project on SIU’s new SalukiFunder, a crowdfunding web platform for campus organizations that is administered by the SIU Foundation, and set a goal of raising $3,000. They met their goal – and then some. Alumni and other supporters gave $3,105, which helped to buy several new LED lights. Since SalukiFunder launched in May 2016, 14 groups have raised more than $42,000. The money has supported a variety of causes, such as the Touch of Nature mountain bike trails, the Strong Survivors program for cancer survivors and caregivers, the National Association of Black Journalists Convention and the SAE International Saluki Baja team. 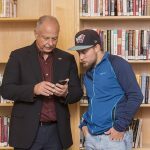 A growing number of universities have launched crowdfunding platforms similar to SIU’s, which works like this: once an organization’s application to participate has been chosen, the group meets with a mentor from the foundation’s Development and Alumni Relations office to develop project descriptions, social media posts and emails. Campaigns usually run between 30 and 45 days. Each group posts a description of its project on the SalukiFunder site, along with a video clip or photo. The group then promotes the project through social media and emails to supporters. With just a few clicks, supporters can make their donations directly to the causes they most care about. McCoy said that a big benefit of crowdfunding is that it gives students, faculty, alumni and the community a way to connect. Dave Baer, a 1975 SIU graduate, donated through SalukiFunder to the College of Agricultural Science’s LED lighting project. As a loyal Saluki and major contributor, Baer said he makes a point of promoting SalukiFunder when he’s talking with other alumni.